Arell businesses are in direct competition for prices, products and services. Many business owners are very knowledgeable about their industry and have successful careers. It is common for a business to require assistance when developing marketing, advertising and promotional materials. Outsourcing professional print work to our Reseda copy shoptakes the work out of creating and printing marketing or advertising materials. Achieving the right look for your business, product or service is important for creating an established link with potential clients and customers. Office copy machines and inkjet printers are not attractive ways to create materials that are used in creating professional documents like a shareholder prospectus, annual report, or quarterly sales data sheets. 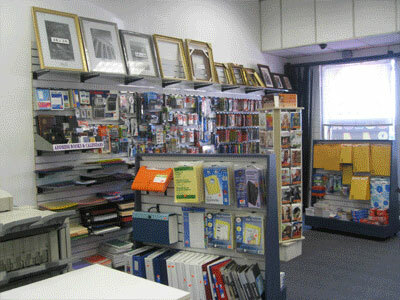 Our copy shop in Reseda can present your business in a professional manner with our professional services. Businesses are not the only group of customers that need professional printing. Many types of different people need a source to create special or personalized gifts that are presented at weddings, anniversaries, birthday parties, or special occasions. Small businesses, nonprofit, developing authors, comic book creators, and construction supervisors are some of the clients that benefit from color reproduction supplied by our Reseda copy shop. Professional print shops take an investment of both time and money. Our investments make it easy for customers to order professional printing from our website, over the phone, or directly in person. We have the ability to ship your order upon completion to any destination you choose. Our copy shop Reseda center takes the stress out of all of your printing projects. To place your order with Reseda copy shop center please call (818) 775-0255 and mention our ad on this website. Getting customized products printed in the past was a stressful experience for corporations and average people. The requirements included color separation sheets for each color and separate changes for each step of the process. Color printing was revolutionized with the invention of the digital color printer and copier. Our Reseda printing shop has the professional equipment that is required to make accurate copies and prints that are superior compared to home inkjet or laser printers. When the look of your finished project is important, professional printing equipment is required to produce high-resolution imagery and graphics. When accurate color reproduction and graphics are combined with professional paper styles, these elements work together to produce a high quality product. The staff at our Reseda printing shop has the experience needed in the professional industry to exceed your printing expectations. Many different people including average people and major corporations use our printing services. We have the capabilities to produce printed materials for self-published authors, screenwriters, restaurants, supermarkets, hotels and marketing agencies. The combination of printed text and images is used in more places than most people realize. Our printing shop in Reseda is a leader in high quality printing services. No printing project can be completed without a thorough review of the submitted source documents or graphic files. Our graphic designers will review your information on request to be positive that it meets our high industry standards. After successful review by our designers, your project can be ordered online, by phone, or in person inside of our printing shop Reseda center. Our professional shipping carriers will safely deliver your package to your requested destination. Call us at (818) 775-0255 to order the print job you want. We offer our services to the residents on Reseda, CA, zip codes 91335 and 91337, and other surrounding areas.